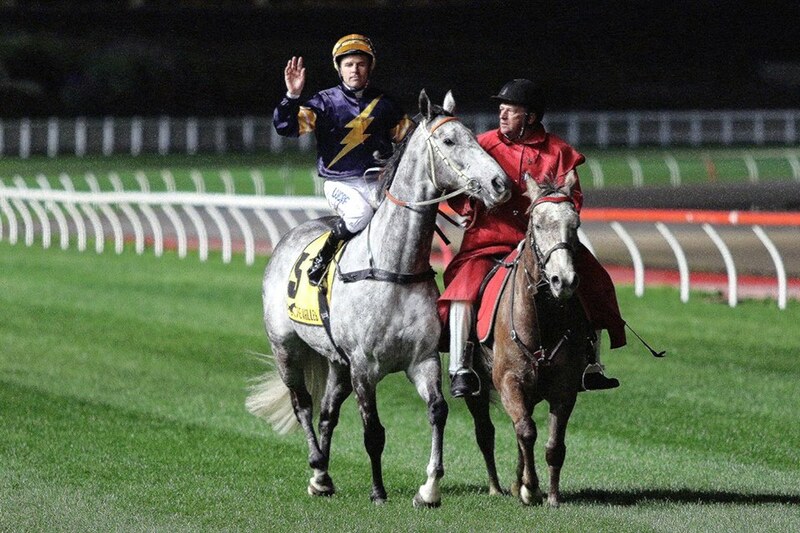 Michael Hawkes was in tears and Tommy Berry choked up as Chautauqua received a rousing farewell from The Valley crowd after a grand career ended on Friday night. In a scene which proved there aren’t too many fairytale endings in sport, the great grey stood in the barriers like a statue one last time. 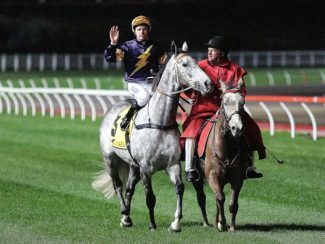 Just as Chautauqua had moved to the brink of snaring a slot in The Everest – a deal which was 99 percent done had he jumped in the trial between races at The Valley – he refused to move from the gates again. The crowd at The Valley moaned and gasped – but then they cheered as Berry took the sprint champ for a parade past the grandstands. Part-owner Rupert Legh confirmed Chautauqua’s career was over soon after the gelding’s latest refusal to jump. Co-trainer Michael Hawkes was moved to tears and Berry said he choked up with emotion as Chautauqua had his final farewell. On the way to the gates, Berry could feel it just wasn’t going to happen and this was going to be Chautauqua’s last hurrah. “He was never going to jump from the gates tonight, I could feel that on the way to the barriers,” Berry said.